I have been wearing glasses since primary school and I can't live without it. It was convenient, no worries about hygiene but I probably don't look that good. It was only when I reach late teens when I started wearing contact lenses for beauty sake. 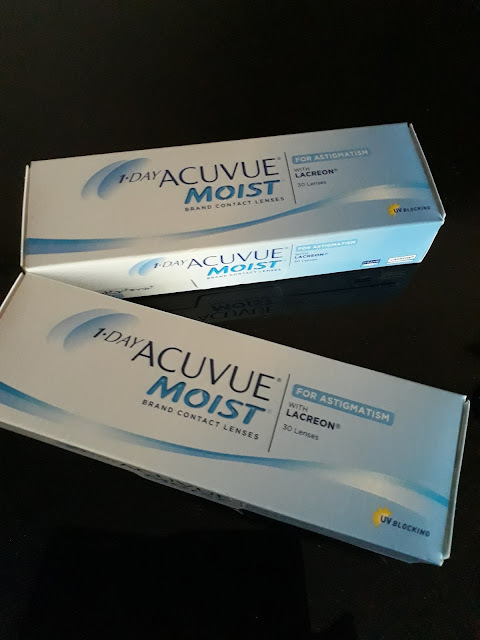 My first pair of contact lenses were 1-Day Acuvue®Moist® for Astigmatism but of course, that was almost 10 years ago and Acuvue has improved their products through technology to suit the various needs of their customers. I have been switching brands ever since out of curiousity. 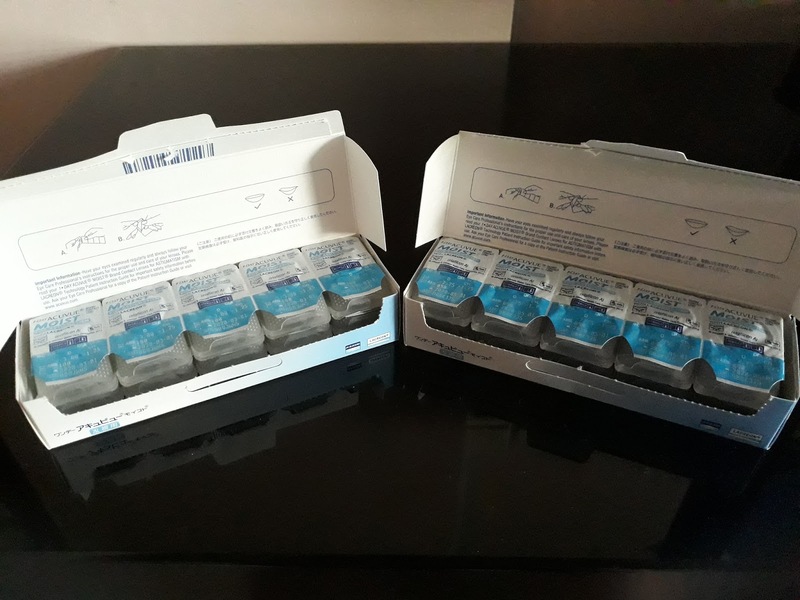 Just recently, I received an invitation from SampleStore to review their 1-Day Acuvue®Moist® for Astigmatism. 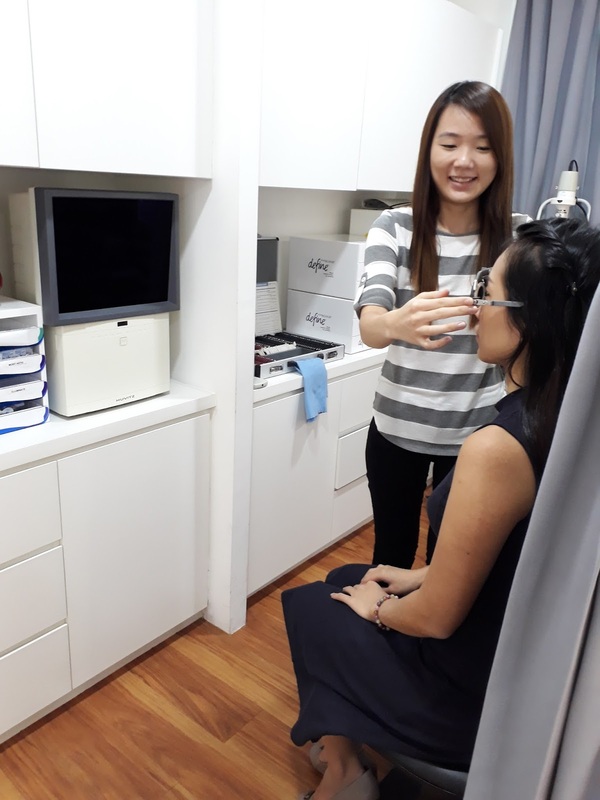 I had an eye health check done at Nanyang Optical at Clementi Mall. 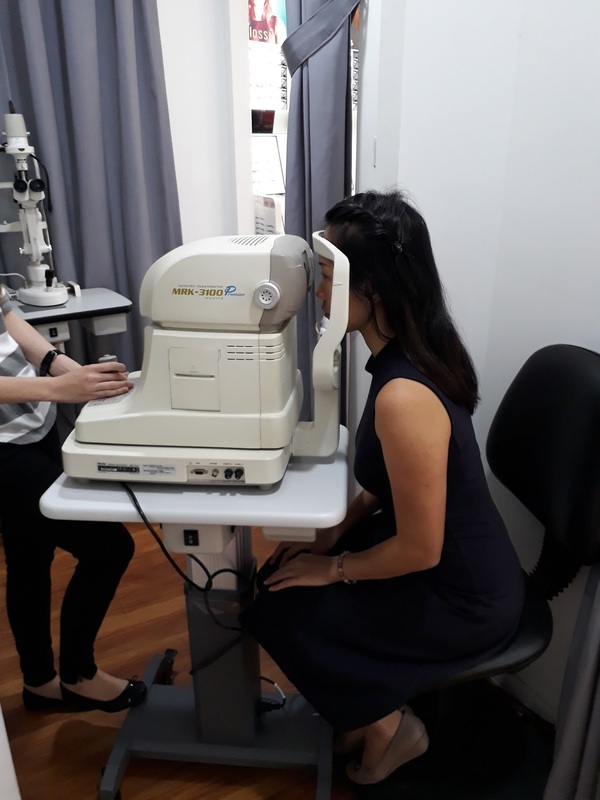 I was served by their Eye Check Practioner (ECP), Jingli who helped me to check if my eyesight and eye health has changed. In the past, we were only asked to do a basic eye examination by checking for any eye disease and test of vision. You should remember being asked to read out alphabets from a screen. Nowadays, our eyelids do get checked as well. 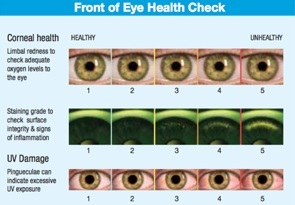 It is really good to know as the eye health can be a symptom for other health issues like high cholesterol. Jingli was patient and helpful throughout the eye check in the patient refraction room. Thankfully I don't have any other eye health issues other than increase of astigmatism for both eyes. Finally, it is time to try on the contact lenses. As I have astigmatism, I was advised to 1-Day Acuvue®Moist® for Astigmatism. It has the Eye-Inspired™ Design with Auto-Focus ASD Technoogy (Accelerated Stabilization Design) which stabilizes the lens quickly and keeps it in the right place. Each box contains 30 pieces. 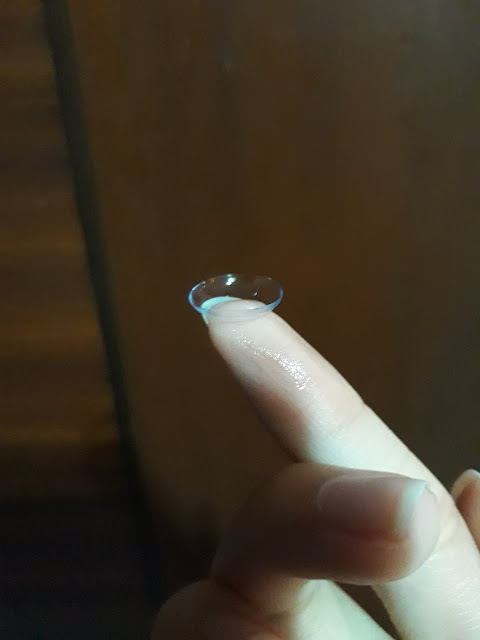 The contact lenses were soft and it was easy to determine which was the right fit, as in which side. There were 2 thin lines on each contact lens and it is advisable to align them at the top and bottom on the eye so it doesn't have to auto-align after you have worn them. Are you able to tell which eye was wearing the 1-Day Acuvue®Moist® for Astigmatism? I was only wearing it on my right eye. Yes, it is hardly visible unless you take a very close look. I hardly feel the contact lenses on my eye. Looking good on a weekday morning to work. After wearing for 10 hours, this is how my eyes look like. I only observed appearance of tiny blood vessels, this might be because I'm still getting used to the contact lenses. Thanks to the exclusive LACREON® Technology which permanently embeds a moisture-rich wetting agent, providing the fresh lens feeling and all day comfort. This is really not bad and suitable for day-to-day wear. It will be much more convenient to move around and do sports wearing contact lenses. Seriously considering to switch from glasses to 1-Day Acuvue®Moist® for Astigmatism. 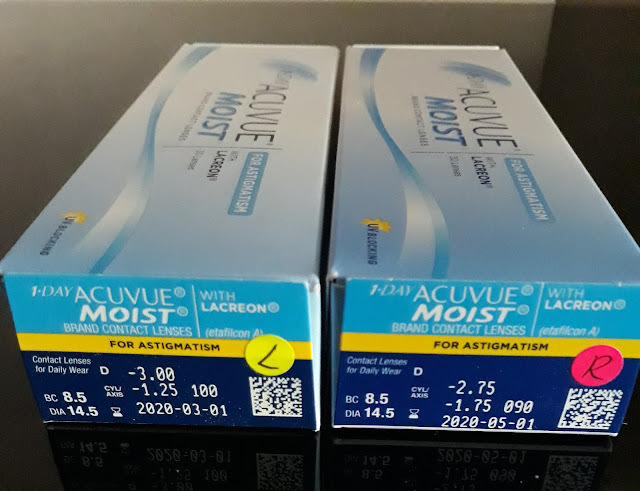 1-Day Acuvue®Moist® for Astigmatism blocks 97% UVB and 82% UVA so who wouldn't want to prevent cataract by preventing the harmful UV rays from our eyes while making ourselves look better? Upon collection, the boxes are labelled with "L" and "R" for you if both eyes have different degrees. I won't have to worry about mixing up anymore. Each box of 30-pieces retails at $69. Acuvue has multi-pack promotions so the more boxes you buy, the more you save. You can now download a $30 e-voucher to try 1-Day Acuvue®Moist® for Astigmatism or their other products like Acuvue® OASYS® 1-Day, Define and MOIST® Brand Multi-focal. Try it for yourself to look different and feel the difference. 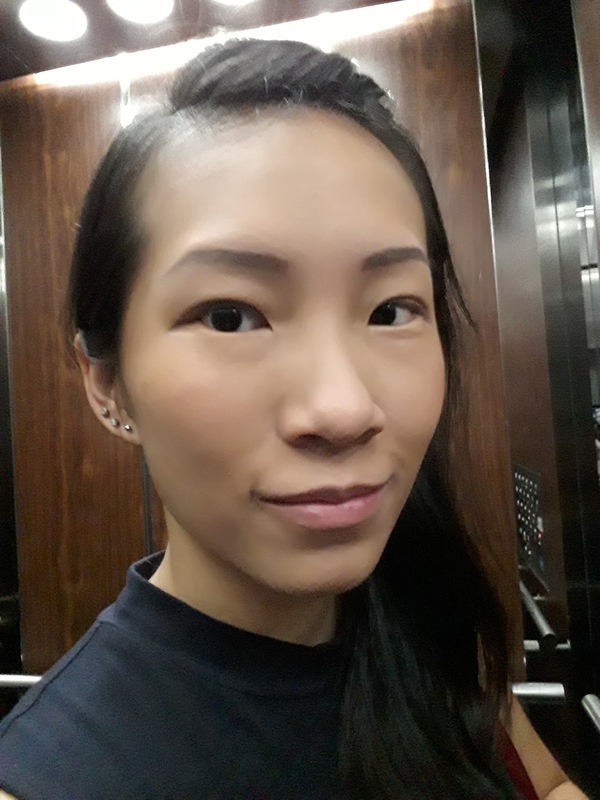 Visit acuvue.com.sg/e-voucher now Would recommend visiting Nanyang Optical at Clementi Mall for their professional service!